Driver fatigue, which can be caused by both mental and physical strain, drastically slows a driver’s reaction time to potential road hazards. It is particularly dangerous among truck drivers who haul heavy and sometimes hazardous loads. How common is drowsy driving among truckers? Three out of every four commercial motor vehicle drivers admit to committing at least one type of driving mistake due to drowsiness. Being awake for 18 hours is comparable to having a blood alcohol concentration (BAC) of 0.08 percent, which is the legal limit for drunk driving. Certain over-the-counter medications, such as cold medicine and allergy pills, can increase the risk of a drowsy driving accident. What is being done to prevent truck driver fatigue? To deter driving accidents, the Federal Motor Carrier Safety Administration (FMCSA) imposes hours-of-service requirements on the trucking industry. In 2012, the agency implemented new rules that restrict the average workweek for truck drivers to 70 hours. The regulations also require drivers to take a 30-minute break during the first eight hours of a shift. The FMCSA predicts that the regulations will save 19 lives and prevent approximately 1,400 crashes and 560 injuries each year. When accidents do occur, the results are often devastating for the occupants of the smaller vehicle. Those who are lucky enough to survive often suffer significant injuries, including internal organ damage, traumatic brain injury and paralysis. In crashes where driver fatigue is suspected, you need an experienced Virginia truck accident attorney by your side who can investigate the cause of the accident and pursue compensation from the at-fault parties. The Law Offices of Timothy H. Hankins serves clients in Newport News, Hampton, Williamsburg, Norfolk and surrounding areas. 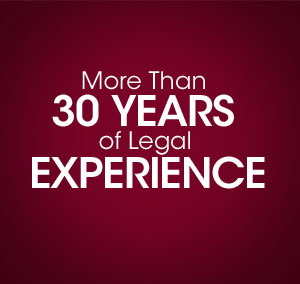 Our experienced and dedicated legal team has successfully handled thousands of accident claims for more than 30 years. Call today at 757-525-9883 to discuss your case.